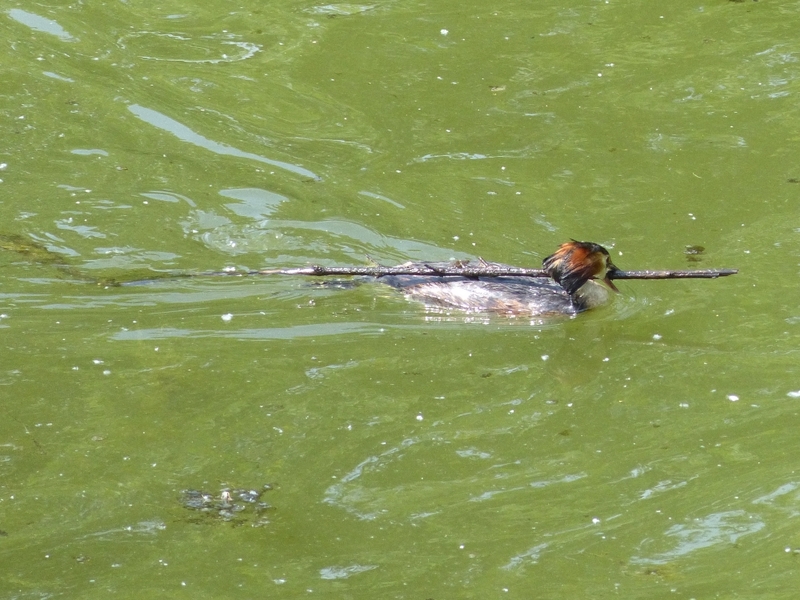 Another Great Crested Grebes' nest is under construction on the Long Water, under the willow tree next to the bridge. This is the seventh grebe nest to be built here this year: the first was washed away by waves raised by a strong east wind, and all subsequent ones have been abandoned after a few days. Let's hope that this one finally succeeds. Here one of the birds brings an inconveniently large stick, far bigger than they usually use in their sloppy nests. 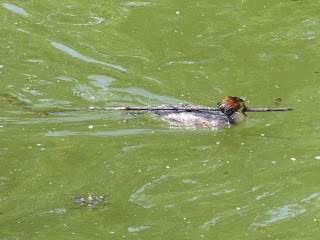 The other grebe nest on the Long Water is also active, and I saw both birds building it up. 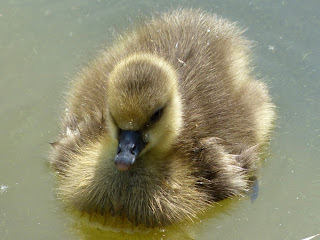 There is another addition to the Greylag Geese on the Serpentine, just one brand-new gosling. As usual, its parents were looking after it attentively. A little farther up the shore, a Greylag revealed an unexpected liking for ice cream. It emptied the cone without eating any of the boring wafer part. 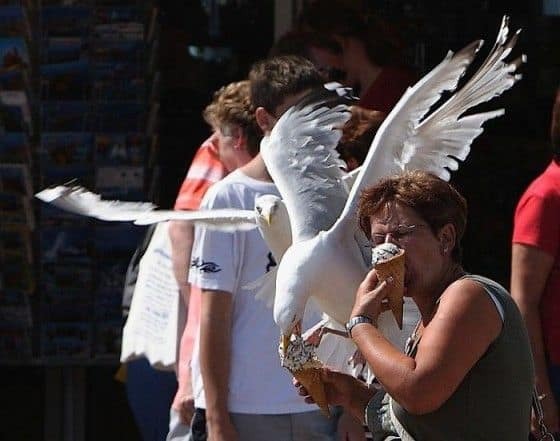 Geese, of course, are not the only birds that like ice cream, and there are now many photographs of Herring Gulls snatching it from cones in people's hands in a Dutch seaside resort. 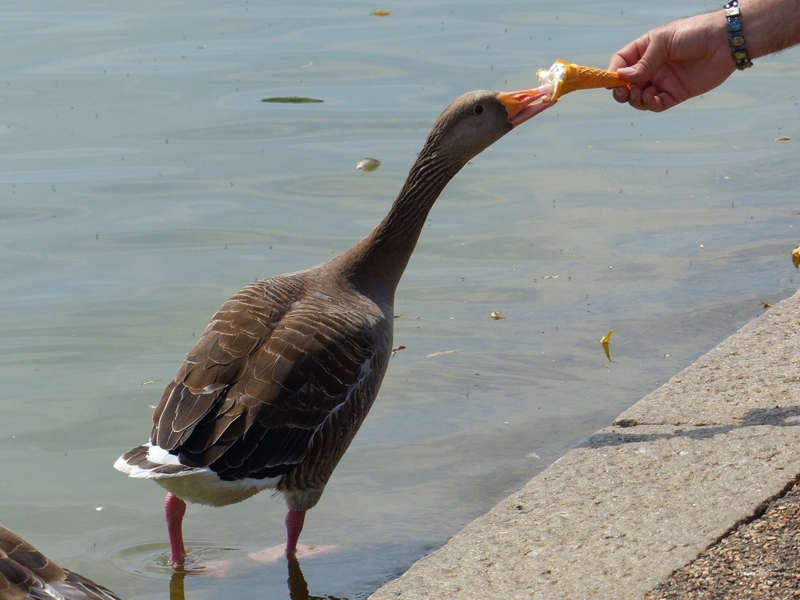 I am told that the habit has now spread to some gulls in Britain, not surprisingly as gulls of all kinds regularly cross the Channel. 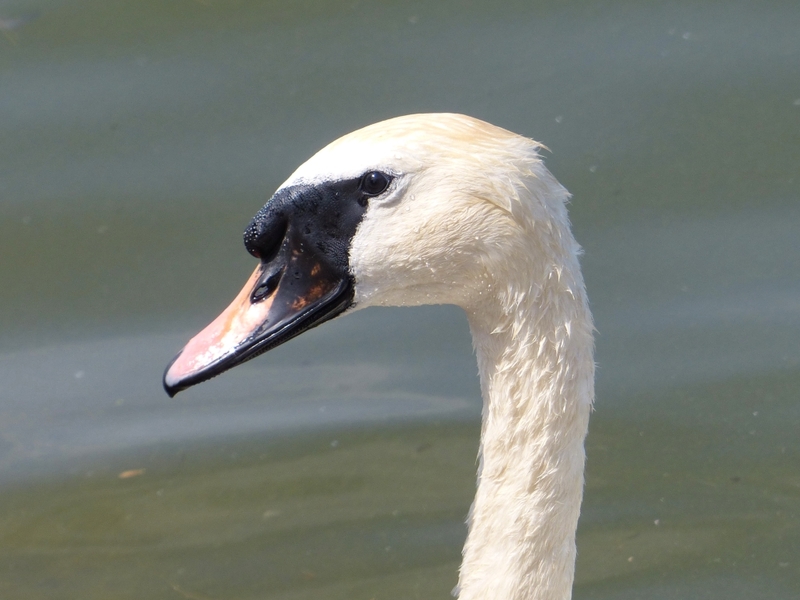 There was a Mute Swan on the Serpentine with an unusually black face. The area of black normally present at the base of the bill has extended to the bill itself. The rest of the swan was of a perfectly ordinary colour. Two swan families, one with four cygnets and one with three, have been driven off the Serpentine by the hideous amplified racket of ten days of pop concerts. They had advanced some way up the Long Water, keeping into the shore on opposite sides, and both families were guarded by male swans in threatening attitudes. The resident pair, with one cygnet, had retreated up the lake and were also looking aggressive. I think that a fight, or at least a very angry display, must have taken place shortly before I arrived. There were a few Swifts over the lake, the first I have seen here for a while. They were hunting at a considerable height, not bothering to come down for the millions of small insects swarming all over the water.